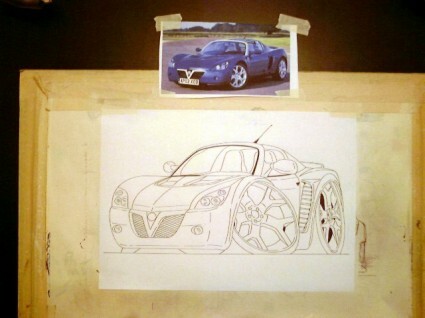 We get asked all the time how our cartoon car pictures have been drawn. 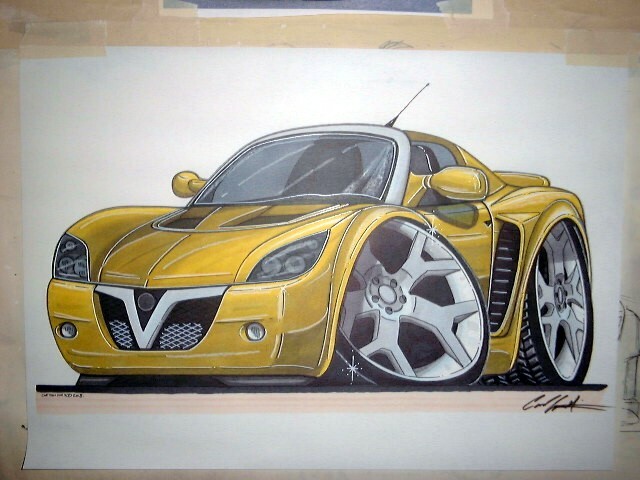 Our DuckDesignUK motor cartoons that have been produced using a computer and an advanced graphics package by Duc. K in Croatia and we started to feature his work in 2009. 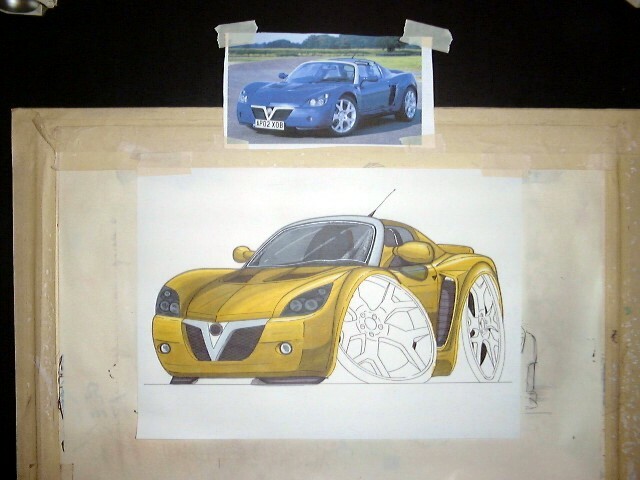 All our initial pictures starting from 1997, have been hand drawn and coloured by our artist Carl Greatrix, he was acknowledged as being the UK's number one motor car cartoonist, before he moved to pastures new creating great games and the figures within for LEGO! 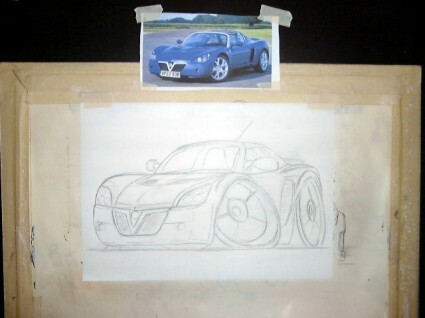 Whichever way our cartoon cars have been produced, each takes a considerable time to draw and each are unique in their own very different way. 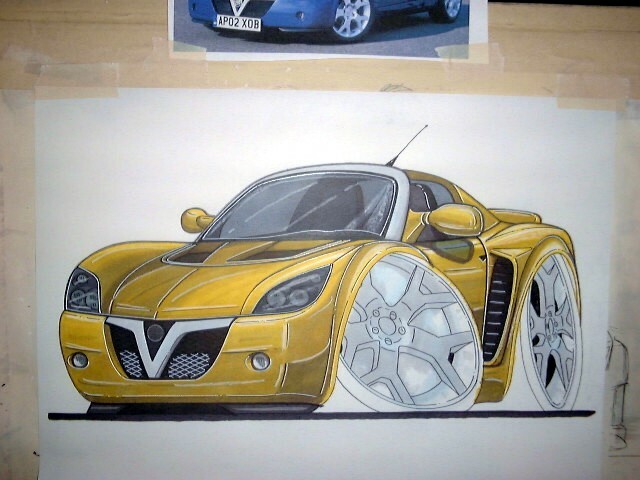 Anyway enough from us, below are the six stages in hand drawing a Vauxhall VX220 car cartoon from a photo supplied by a customer. 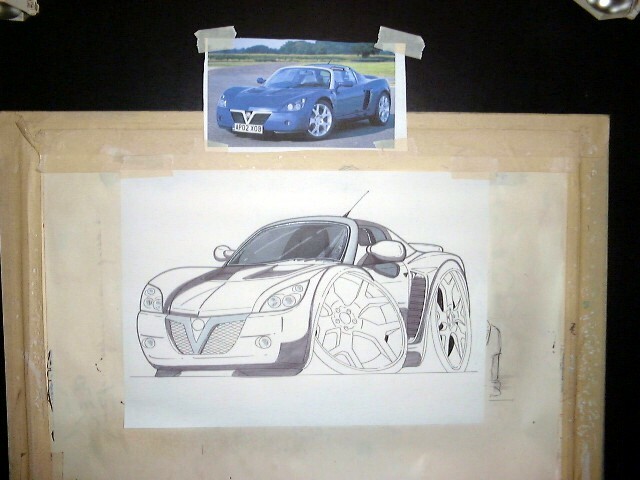 Carl will start with a rough sketch, then a definite outline is drawn and then the 4 stages of colour to create the final completed original cartoon car after about 4/5 hours. Now there's one clever guy!